Today, I have the distinct pleasure of introducing you to Flavio a dedicated Ronson collector from Italy. He has probably the biggest collection of Ronson lighters in the world. Enjoy his story! Hello, my name is Flavio. I was born in 1955. I live in Italy near the beautiful city of Turin. I work in the real estate sector and soon I’ll get married to my beloved companion Francesca. Congratulations to you, Flavio. Tell me, when have you started collecting Ronson lighters? What were the beginnings of your passion and why Ronson? All started about 15 years ago. This is the story behind it: in the 1970's in Italy smoking was very common and I started to smoke too. 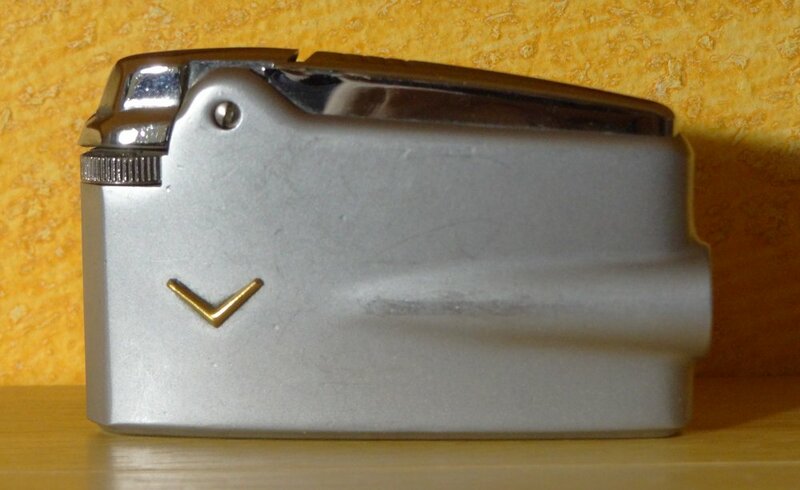 On the occasion of my birthday my grandfather gave me a lighter (photo below), which unfortunately I lost in year 2000. A friend of mine saw my sadness related to the lost of my favorite memory of my grandfather and he gave me some advice: "Try searching on the internet. There is a site called eBay where people sell anything. Maybe you will be able to find a similar lighter." I did so and I found it! Then I bought another nice pocket lighter. Then a table lighter and then a vintage one... and now I have almost 3000 Ronson lighters! I really take a liking on the table lighters made by Ronson and about half of the collection consists of them. They are made of silver, crystal, glass, various metals, ceramics and so on. Some of them are very bulky and some are also very rare. And still there are some lighters that I am missing in my collection like the sphinx, the devil, the airplane. I would love to find them. So far I have been collecting all Ronson lighters including the first striker lighters patented in 1913 as well the most recent lighters that come out after the rebirth of the brand. Do you collect any other things than Ronson lighters? I have to answer your question this way. Unfortunately, my passion made me collect also other lighter brands like Dunhill, Cartier, S.T. Dupont, Evans, Colibri etc. But these I have only about 200 pieces and almost all of them are table/desk lighters. I have decided to buy them either of their beauty or rarity. I also have a small collection of SAFFA (Società Anonima Fabbriche Fiammiferi e Affini) Milan – they were very popular in the 1970/80 and they came out in beautiful designs! What has been the major source of your lighters? My favorite hunting ground is eBay from where I bought approximately 70% of my lighters. But also various exhibitions of used and old things are good places to find missing lighters. Near where I live, every Sunday there is a flea market that I often visit. And two or three times a year there are very large exhibitions in Parma and Milan. Flea markets are generally a good excuse to go out on Sundays and visit some new towns and places. The nice thing about eBay is also the opportunity to meet and make friends with other "crazy" collectors and also talk about things that are not necessarily connected with lighters. Currently my "friends of the fire" are Dario, Danilo, Santo, Diego and Maurizio from Italy, Sebastian from Poland, IRA from USA, John from France and Australia, Theodore from England, Franz and Helmut from Germany and Carlos from Mexico. A very diverse bevy. The only problem I have is my poor English so I am very pleased with google translator which as I am aware makes me sometimes write "nonsense incredible"! What is your collection for you personally? What is your dream connected with it and what do you do to make it reality? There is no real reason why collections begin. It is something totally subjective. For me, it is the pleasure of having and preserving something beautiful, rare, historic and artistic and, in addition, the emotions you feel when you find the missing piece. I also like to believe that it is a small investment in the future. Does your family understand, support or even share your passion of collecting lighters? Fortunately, my future wife is a collector herself. She collects among others Lenci dolls, Wedgwood pottery, figurines of horses. So she understands, supports and accompanies me in my passion. The big problem is the space in the house which is now almost fully utilized because of the loads of showcases. What has been your most exciting lighter finds? 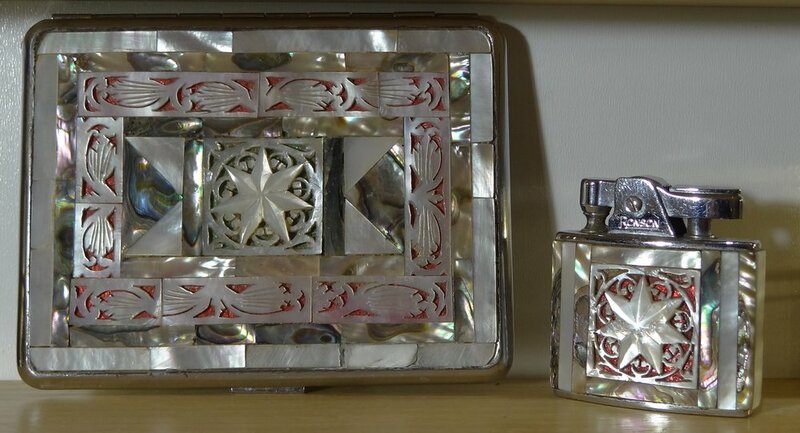 My best find was a beautiful cigarette lighter in mother of pearl. I have already had such lighter. When I saw it on a stand, I got an adrenaline rush and after some negotiations I managed to buy it. I paid 20 euros and I was happy as a child at Christmas! Or when I bought the whole collection of Danilo, a friend from Milan who had decided to get rid of his ca. 400 lighters. Some of them were very rare. It was a tough negotiation lasting almost five hours. Could you name your top 10 favorite Ronson lighters in your collection? It is difficult to point the top ten lighters among all the ones I have. Let's say that I like some series of Ronson lighters. 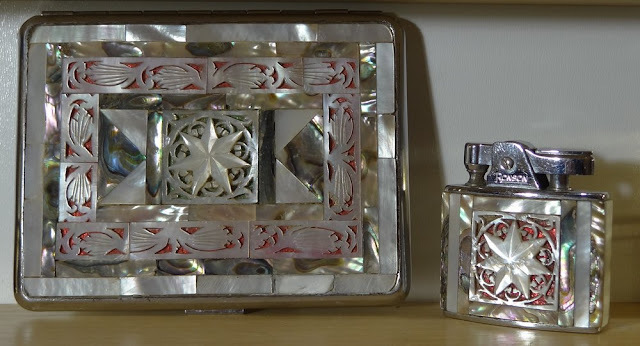 Among the table lighters I would chose the chrome plated dancers, animals, those crystal lalique, and ceramics Bjorn Wiinblad lighters. Among the Ronson pocket lighters I like the Banjo, the heart shaped lighters and the classic Varaflame. Can you give novice lighter collectors any hints regarding collecting lighters? As the world of lighters is immense – just think about how many different models were marketed by Zippo – my advice to those who want to start a collection of lighters would be choose your field of expertise! It might be narrowed to a brand, material used, new or vintage, the origin, type (gas/petrol), the target group (for example: military, pocket or women) etc. And, initially, do stick to that choice. Otherwise the collection might be to broad and you might lose the pleasure of hunting the rare pieces! And another tip is be curious – study, seek, learn and make friends with other collectors. There are great people around! Thank you Flavio for your time. It was a pleasure to talk with you! I hope you will soon find the missing pieces in your collection to make it complete and good luck with your exhibition! Below some pictures of parts of Flavio's collection. 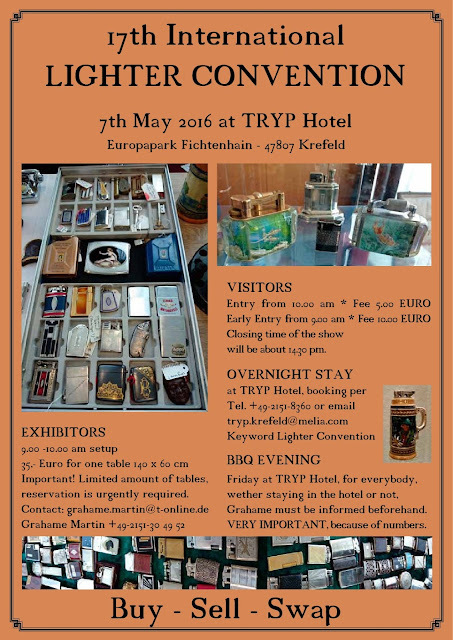 On the 7th of May (Saturday) 2016 the 17th International Lighter Convention in Krefeld, Germany will take place. Table holders can setup from 9:00 AM to 10:00 AM. More info can be obtained from Grahame Martin: grahame.martin@t-online.de. I hope to be there! As the New Year is in the game I would like to wish you new discoveries, wonderful inspirations and happiness to fill your heart. All the best!